Naughty Dog have come a long way from their days of sporting a Bandicoot of as their Mascot. Today they are one of the most popular gaming studios in the world. 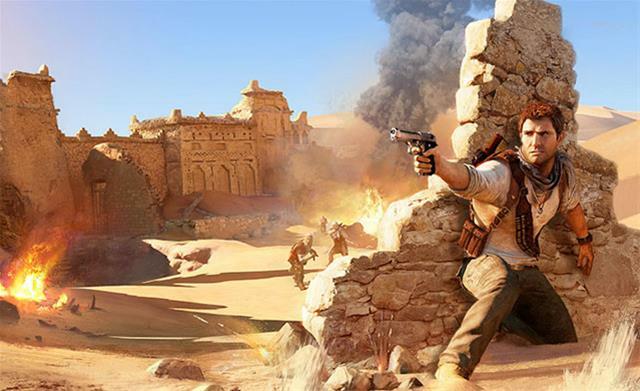 Not only this but are considered among many as PlayStation’s Flagship Developers and their flagship series is the Indiana Jones esque series Uncharted. Having played through the epic adventure of Nathan Drake in Uncharted 2: Amongst Thieves. I have always wanted to visit the original before eventually moving onto the third entry. Now with Uncharted 4: A Thief’s End on the horizon I feel I have no time to get into the series. I like 20 million others are lucky enough to own a Playstation 4 console. Now that I have this, I only seem to want previous released titles updated to the most current graphics. So you can imagine my delight when the Uncharted Collection was announced. Video Games that perform like movies are becoming more and more common. 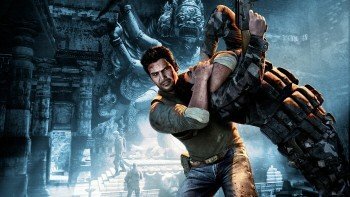 The action-adventure, third person shooter that is now synonymous with the Uncharted may not have been one of the first to attempt this but it is certainly one of the first to perfect it. Having the chance to own the complete trilogy on the newest generation of console in preparation for the newest release is simply great. It’s Sony listening to its fans. Uncharted: The Nathan Drake Collection is ideal for anyone trying to break into the series. Generally for anybody lagging from the delayed release of the fourth entry (Due for release around the first or second quarter of 2016) this is a great way to revisit the gigantic adventure Nathan takes on before possibly taking on his last. The HD collection has been promised that it will be available in a gorgeous 1080p resolution with 60 frames per second which according to Sony, “makes a huge difference”. One thing to not forget is that this bundle only contains Drake’s solo efforts so unfortunately Multiplayer is exempt. I however don’t think this is a necessity as the main draw is obviously the story. That said the multiplayer is quite underrated yet as long as it returns in A Thief’s End i’m more than happy. The price is worthy of appraisal too. Most video games released today are around the £40-£50 mark so I was honestly expecting the trilogy to cost about £60. To my delight the price was revealed at £54.99 (Amazon.co.uk) and at the time of writing this has dropped down to £46.85, basically the same as one game. I realise this is a re-release but there’s no doubt that you are getting bang for your buck especially if you are yet to touch the franchise. Sony are no doubt winning the console race. Decisions like this are only going to contribute to their lead. Never before has there been more Xbox owners that have swapped sides to Playstation. 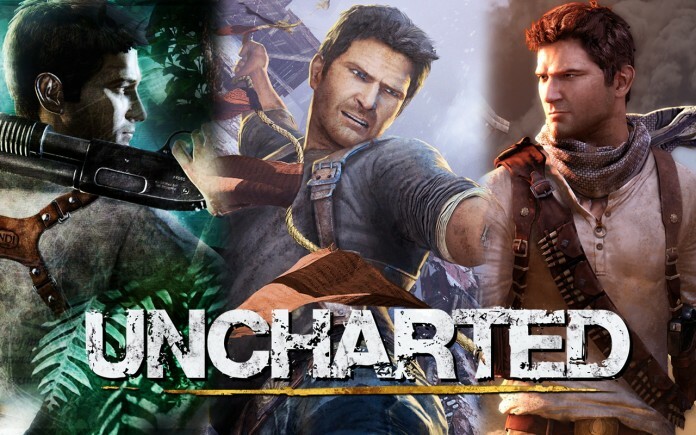 All of these players have never had chance to experience Uncharted and until this was announced were unable to (unless they bought a Playstation 3 as well). So to give these new Playstation owners the chance to play through the entirety of their biggest franchise just in time for the release of the latest title is a really smart move. Genius too. It may seem obvious to some to create this trilogy but what you need to take into consideration is that there are always obvious choices for a company. Most of these obvious choices never come to fruition so when they do I think they need applauding. In terms of pleasing the fans and a business decision this hits the nail right on the head. I have my pre-order. Do you have yours? 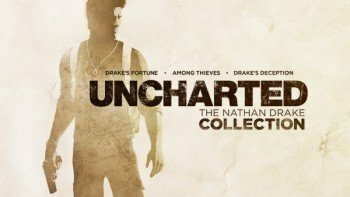 What’s your view on the Uncharted: The Nathan Drake Collection? Leave us a comment below to tell us why.